One of the most frequent comments I’ve gotten on my last few homeschooling posts is how I deal with the other girls while I work with Ella. For reference, we do around three hours of school per day (about 9 a.m. to noon), and Ani goes to a co-op preschool twice a week for two hours in the morning. I also am not involved in every bit of Ella’s schooling. Obviously, there are many parts she needs me for (reading aloud, spelling, history, science, cooking, etc), but there are plenty of things she can handle alone like typing, math, and handwriting. Of course, some days are better than others, but here are the things that help us mostly have smooth mornings where school gets done without the little girls feeling abandoned or me feeling like I’m losing my mind. 1. Start low-key. I think there’s sometimes a tendency to make the first few days or weeks a bonanza of activities for the little kids, which sets the stage for this being a time when they deserve constant entertainment. I didn’t do a dang thing for them the first week – they played with Legos, looked at books, rode their scooters around the kitchen, and colored, which are basically all the kinds of things they normally do. It’s much easier to add a few exciting things in as they get restless down the road (say, play dough or a new toy or coloring book) than to try to maintain that high level of constant stimulation. 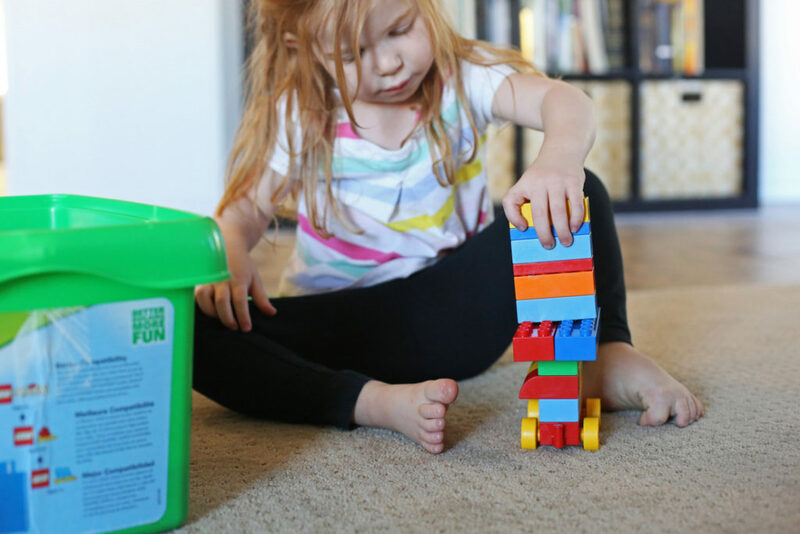 Plus, one of my big goals for my children is for them to be comfortable being bored, entertaining themselves, and inventing games or turning to books and toys on their own, so I think of this as daily practice while I’m right there to assist as needed. 2. Figure out what setting works best for you. Last year, we did homeschool in our large basement/playroom. 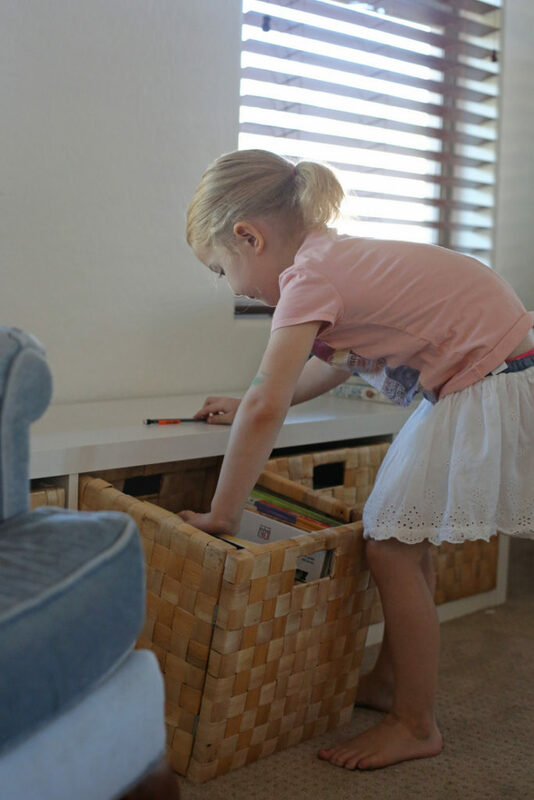 I would have continued that this year except that when we we did the girls bedrooms, we ended up using the homeschool table as a desk in Ella’s room instead, so the basement was no longer a great spot for homeschooling. We moved upstairs to the kitchen/family room and I can’t believe how much better it’s been. The couch means its easier to read with more than one girl at a time, the kitchen means I can load or unload the dishwasher or put dinner in the crockpot while I read out spelling words (so I don’t feel so far behind after a morning of homeschool) and the girls’ bedrooms are just around the corner, so Ani often will wander into her room and look at books, color, or play with her dolls and Star frequently joins her. This never happened when we were downstairs and basically everyone felt trapped in one space. 3. Harness the power of snacks. 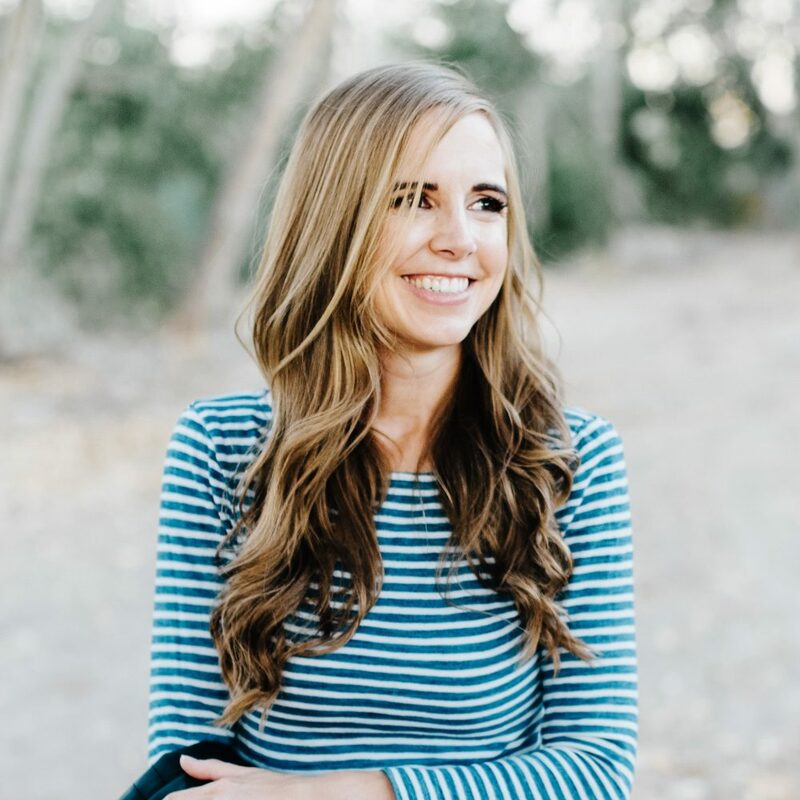 Since I’m pregnant, I basically eat about every two hours, so I have a lot more sympathy for my children getting hungry between meals than I do when I’m not pregnant. One of my favorite easy snacks for the girls is a bowl of plain Greek yogurt (which I love for the high protein and no added sugar). 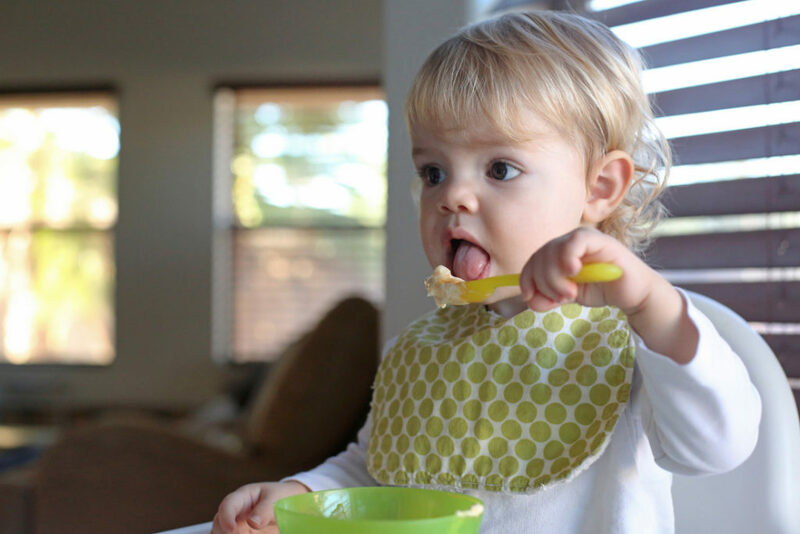 Of course, they want a little flavor mixed in, so I stir in one of the many flavors of Gerber Lil’ Bits. 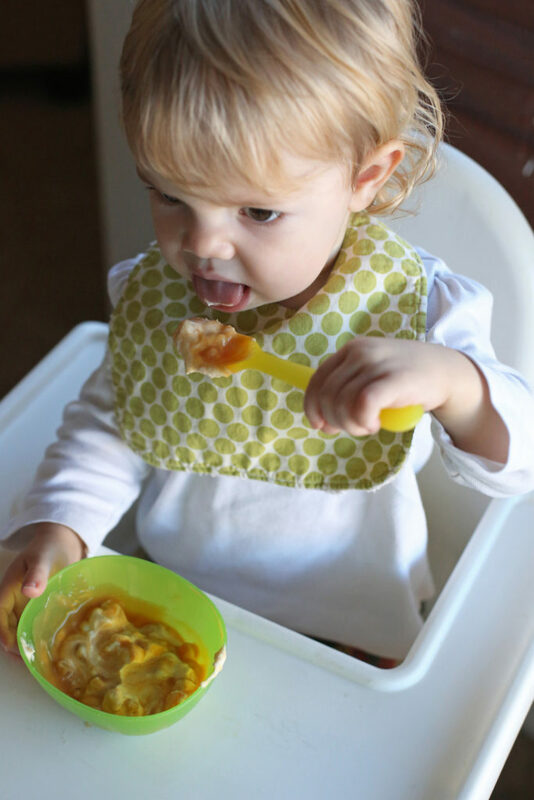 I like that the protein keeps them full until lunch and the Gerber Lil’ Bits give it some texture and fun flavor combos (Gerber Lil’ Bits are designed for crawlers 8 -12 months to assist in introducing new tastes, textures and combinations, but they’re a great way for my girls to get some additional fruits and veggies in their diets too). 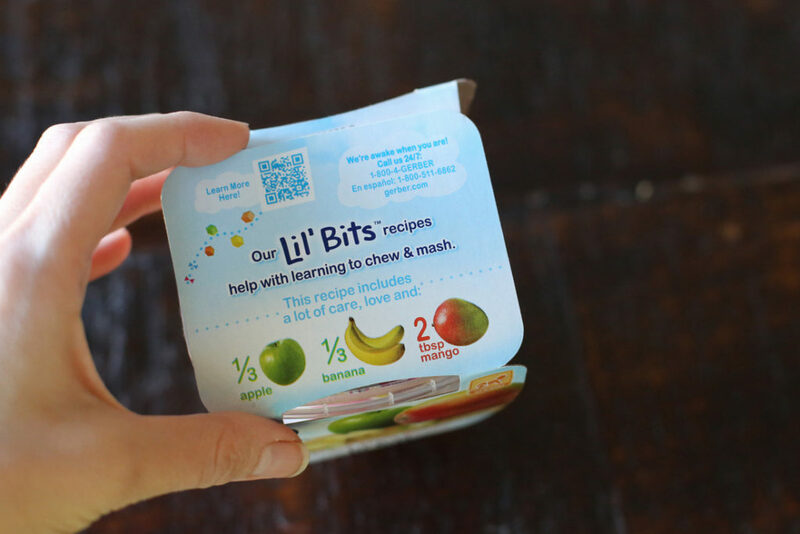 Lil’ Bits have no artificial colors or flavors, which is a huge bonus in my book. My girls are especially fond of this flavor and this flavor (and I love that they all come with a resealable lid, so if I only use half, I can stick it right in the fridge until the next day). I also like that with plain yogurt, you can mix in savory flavors like this and this, if they’re not in the mood for something sweet. Not that my children are ever not in the mood for something sweet, but you know what I mean. And if you give Star a bowl and spoon, she’ll happily feed herself for 20 minutes, so this is a great strategy when she’s melting down and I really need to work with Ella. 4. 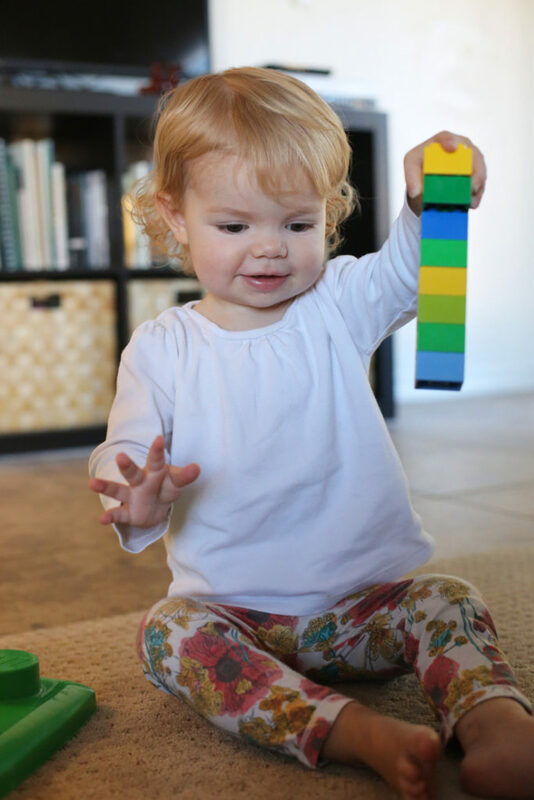 Switch back and forth between subjects that your child needs help in and ones they don’t. Ella usually starts out the morning with math and handwriting, which she can do on her own, and that gives me a chance to read at least a couple of books with the younger girls on the couch. That way, by the time she’s ready to read aloud with me, they feel like they’ve gotten some quality time and they’re much more likely to be ready to run around on their own while I focus on Ella. When she moves on to typing or coding on the computer, then I can pull out some puzzles or games or a cooking project with the little girls just as they start to lose their minds again. 5. Involve them when possible. We’re doing biology this year for science, starting with animal biology, and all my girls are obsessed with animals, so Star will happily sit on my lap as we work through different animal species and look at the photographs for a while. When Ella does her history projects, I can buy myself a lot of time if I give Star and Ani both a paintbrush or a pile of sugar cubes or whatever the project is and let them work alongside Ella. 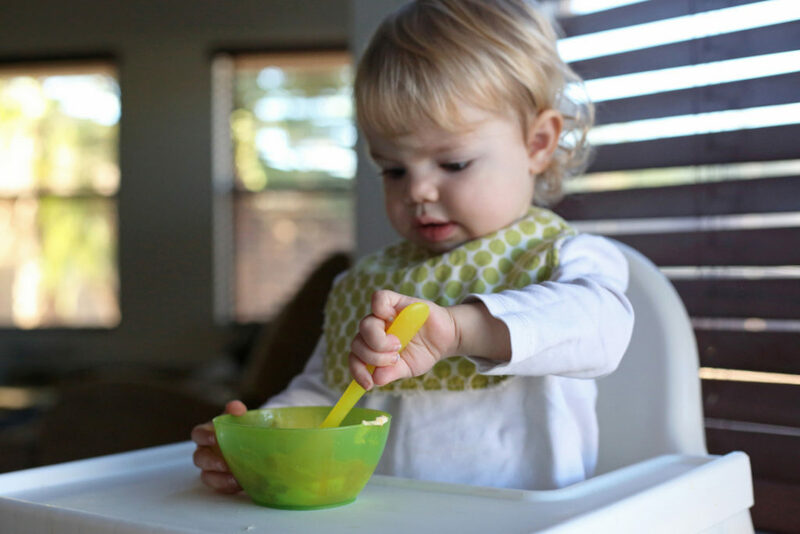 If I’m putting dinner in the crockpot or wiping down the kitchen chairs or unloading the dishwasher, I have them help me and they are usually delighted to be included – Star will happily put away every utensil very carefully, and Ani loves any task that involves the broom or a sponge. Overall, it’s gone more smoothly than I anticipated, although I certainly miss last year when Star took a nap every morning through almost all of school. Great post and great ideas. I love the way you are managing home school and letting the little girls be part of things in a very laid back way. I think they will all thrive and learn a lot. 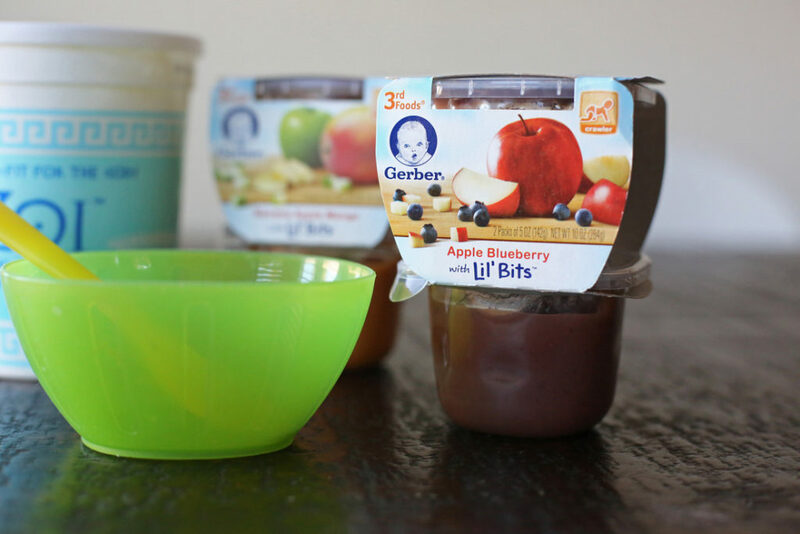 And I am thinking of trying the Gerber's Little Bits with yogurt as a snack for kids after school. Guilty. 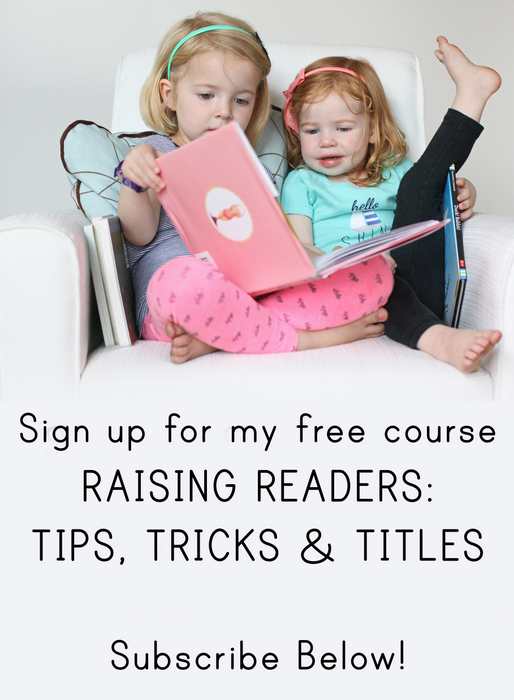 I'm one of the readers that has been hounding you for homeschooling details, so thank you for obliging! You have a way of making tricky circumstances seem totally doable and simple. I'm gaining confidence that homeschooling will be possible for us next year. Thank you! 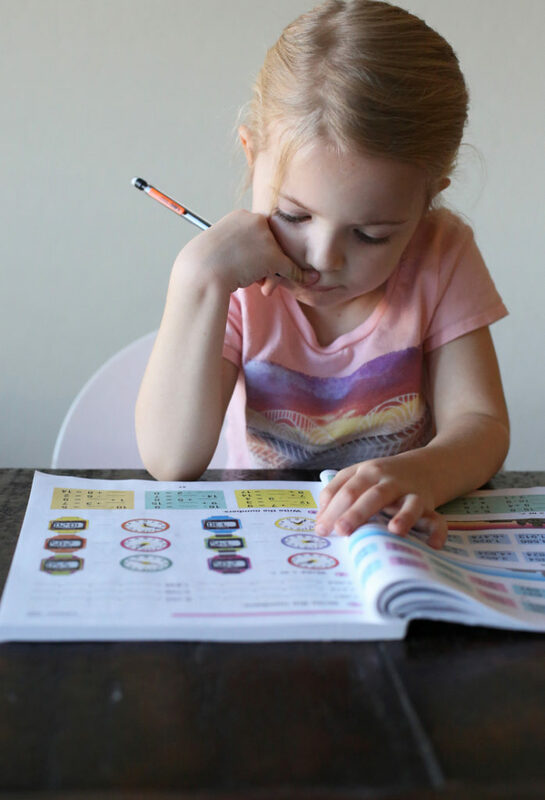 These are all great ideas… I'm kind of terrified for next year when home school actually needs to be more than an hour and a half and it doesn't all fit into one nap time. I got so, SO many take-aways from this. Including sugar cubes! I am in awe with how well you balance all this. There's so much to consider here, and I love your attitude behind it all. And I greatly agree about the kids learning how to work through boredom on their own! Maybe that's just me being a lazy parent, but I really prefer my excuse that it is a great value for them to learn.